Can we ever truly know our children? We can only hope so but sometimes parents can get things horribly, terribly wrong. 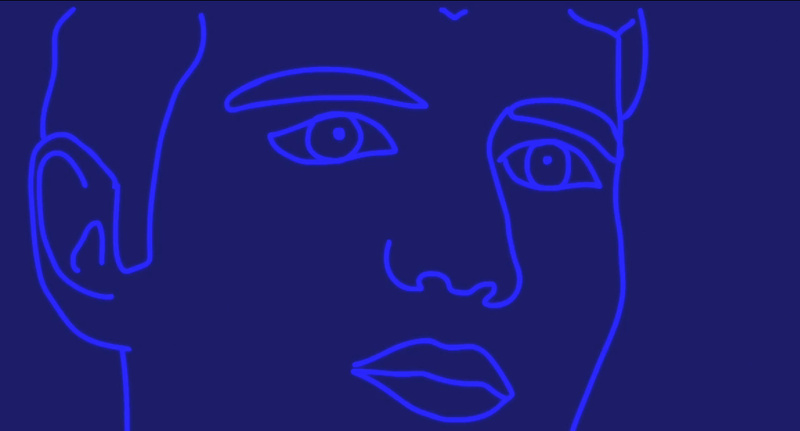 This animated short, directed by Naaman Azhari takes us in to the thoughts and feelings that a mother has about her child and how unaware – blissfully or otherwise – she had been about the true nature of her offspring. Inspired by true events, this may well put a tingle down your spine – it is difficult but compulsive watching. 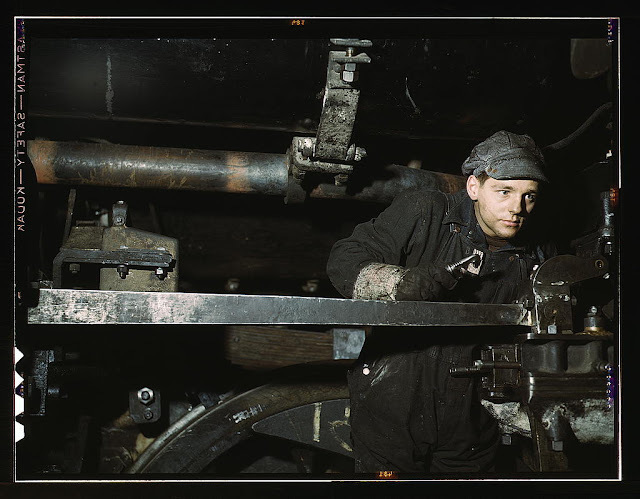 Above: A young worker at the C & NW RR 40th Street shops, Chicago, Illinois, 1942. "I was interested in people not only as images, but also as human beings. In stories that they would tell me or interviews I had with them. It seemed to be it was an important part of what I was trying to communicate." 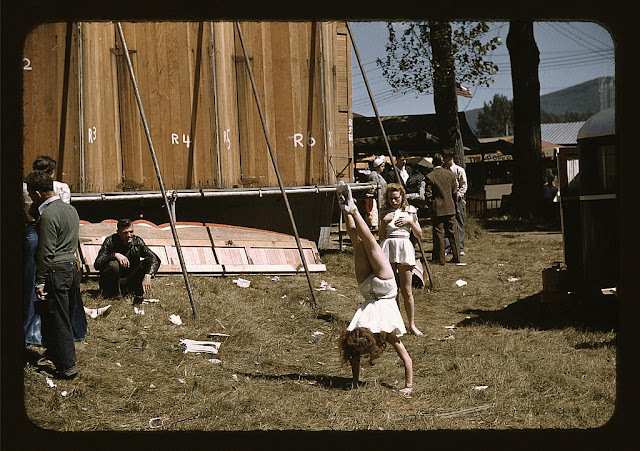 Above: Taken in September 1941, this is the backstage area of the girlie show at the Vermont State Fair. Many people will admit to having eclectic tastes but a significantly smaller number would be able to raise their hands and profess to having eclectic talents too. Not so Jack Délano whose pictures of ordinary American life in the 1940s made him world famous as a photographer. He was, however, also a trained musician, a composer, an illustrator and latterly a film and documentary maker. Here, we shall focus on his photography but as we examine his work in this field we hope to also include detail of his other areas of artistic interests. 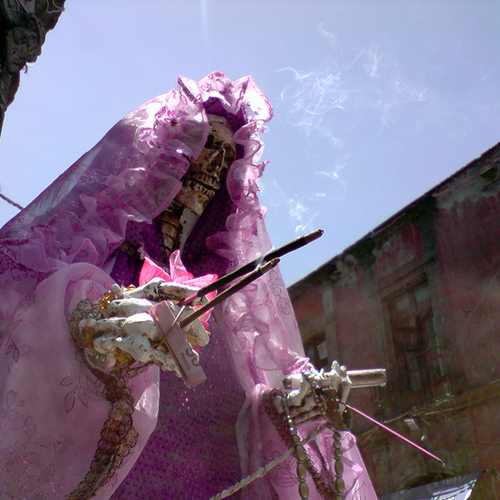 In Mexico, Saint Death will visit you one day – or so it is believed – and it will come in female from dressed up to the nines. 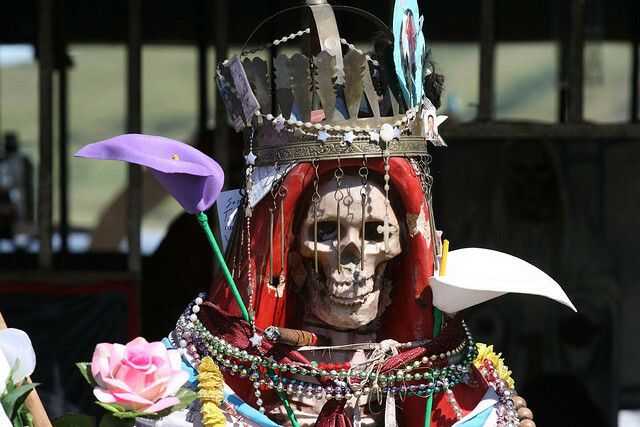 Take a look at the strange tradition of Santa Muerte - Saint Death. In 1995, scientists pointed the Hubble Telescope at an area of the sky near the Big Dipper. The location was apparently empty, and the whole endeavour was risky – what, if anything, was going to show up? But what came back was nothing short of spectacular: an image of over 1,500 galaxies glimmering in a tiny sliver of the universe. 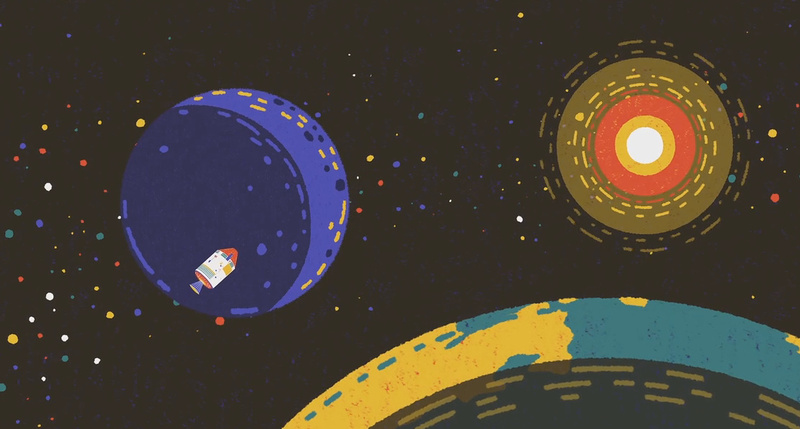 Alex Hofeldt (with animation by Bliink) helps us understand the scale of this image. Even after you have watched this extract from Hofeldt’s Ted-Ed lecture it is unlikely that your head will stop spinning with the enormity of the universe. 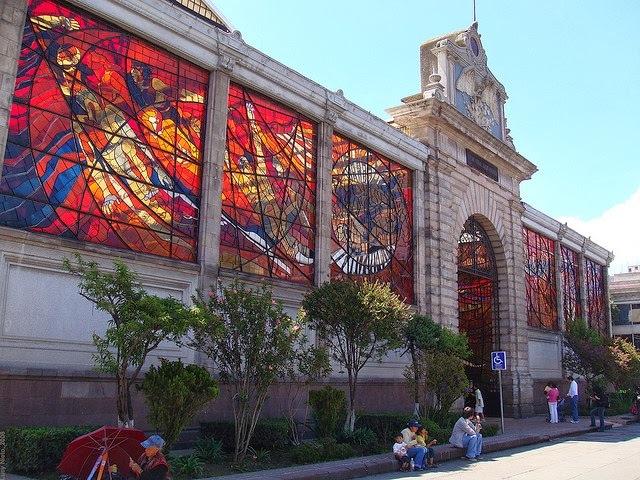 Argentina is one of the largest countries in South America and it would probably take several months of exploring to do the country full justice. 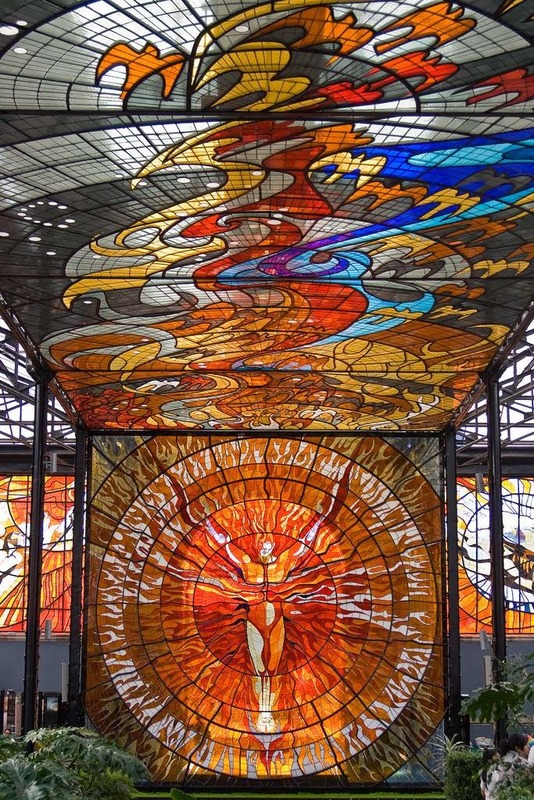 However, Pete R, who is travelling solo around the world, took a month to explore the country and has come up with this magnificent memento of his travels around Argentina. 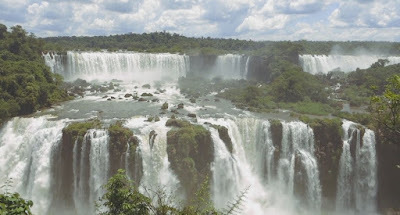 It takes in Buenos Aires, Bariloche, Patagonia, Ushuaia and also the majesty of Iguazu Falls. Sit back and take in the diversity and spectacle of a country that should possibly be on everyone’s bucket list! It is July 1914 and the Tour de France is underway but the country’s best cyclist encounters a few problems outside a small village. 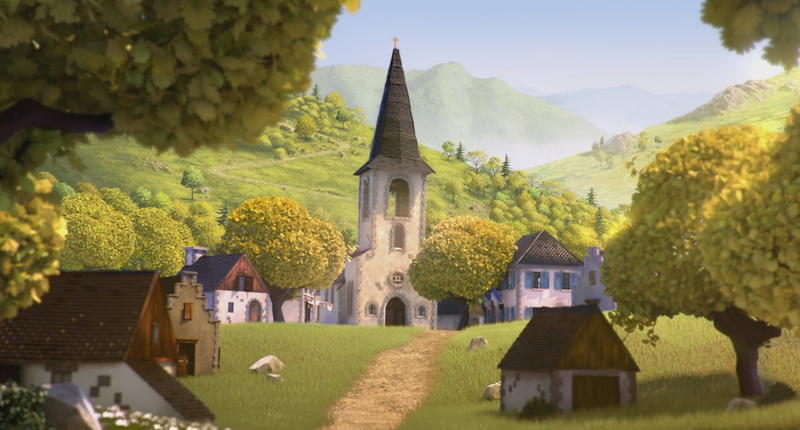 A small incident can easily escalate as you will see in this multi-award winning animated short by Juliette Coutellier, Charlotte Da-Ros, Cyril Flous, Amélie Graffet, David Jurine and Roxane Martinez, made in Supinfocom Arles during their last year in 2015. Original music by Alexandre Chaigniau. 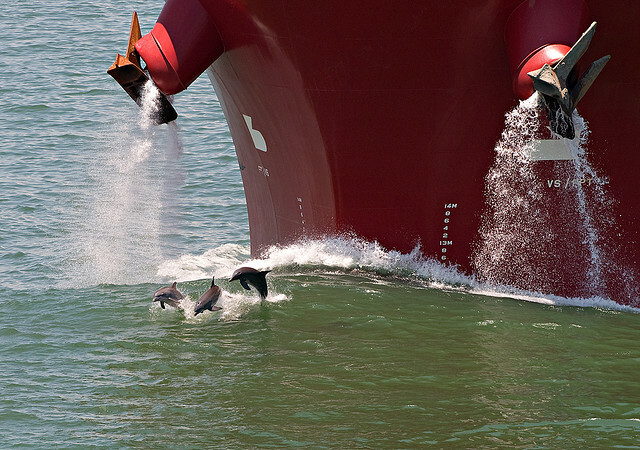 The Ark in Space has a photo special featuring those amazing of marine mammals, the dolphin. Ten million years on the planet and they still haven't said goodbye and thanks for all the fish! Here you can see them partaking in one of their favoirite hobbies - riding the pressure wave of a large ship. You can find the above and a host of other thrilling pictures of wild dolphins over at the Ark. 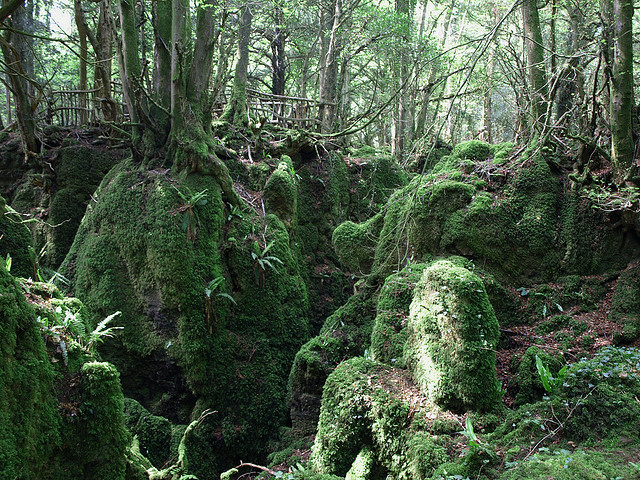 Puzzlewood – even the name conjures up images of ancient ents, elves, wizards and hobbits. 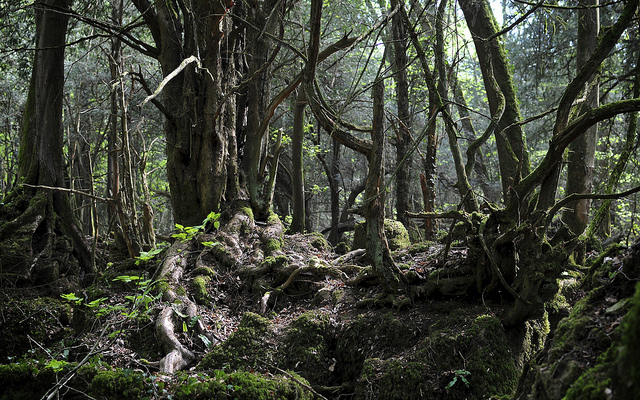 You could easily be forgiven for thinking that you were lost somewhere in Middle-earth. 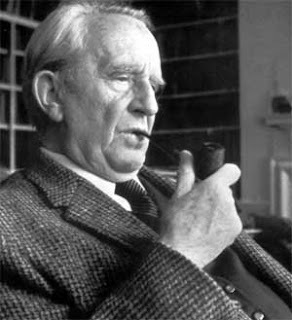 Indeed John Ronald Reuel Tolkien was fascinated by the place and it is said to be a major stimulus for the imagination of the man who brought us Bilbo, Frodo and Gandalf. You do not, however, have to be transported to another world to enjoy such Tolkien-esque landscapes for yourself. 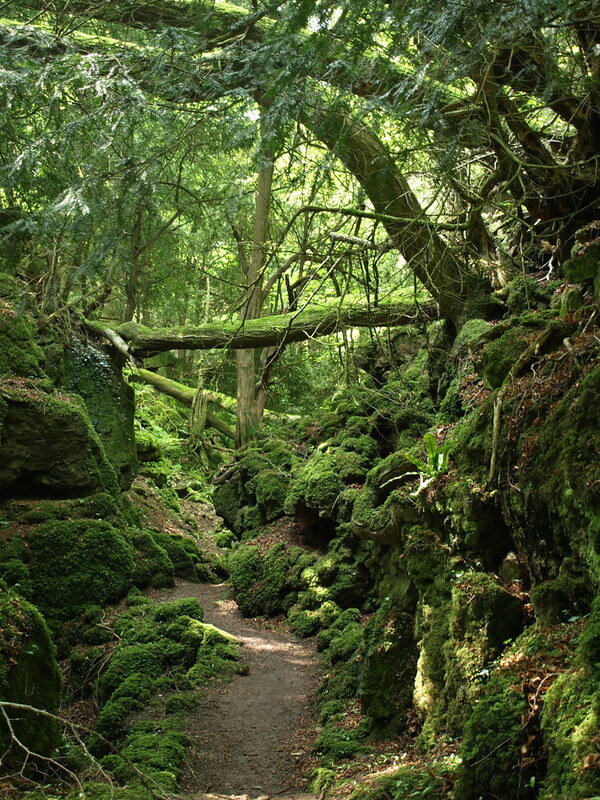 Puzzlewood stretches over fourteen acres of the Forest of Dean in the English county of Gloucestershire (pronounced Gloss-ta-shire). Yes, it is even in a shire! I think the moral of this particular animated short could be love will find a way or, at the risk of getting all Shakespearean on you, Love's Labour's Won. Originally, I thought that I had stumbled upon a new Pixar short when I first started watching it, such is its quality, but soon realised that it was created by a group of students at Filmakademie Baden-Württemberg. It was written and directed by the very gifted Verena Fels, aided and abetted by a host of young talent (please go to the Facebook page for full credits). The strapline for the short is at the edge of society, a cow tips the balance of destiny with quite some impact... and as you watch you will see just how true this is. This is one of those rare animated films that three year olds will enjoy but grown-ups will adore. Technically highly accomplished and with very clever action (it must have taken a math degree to figure out the weights and balances! 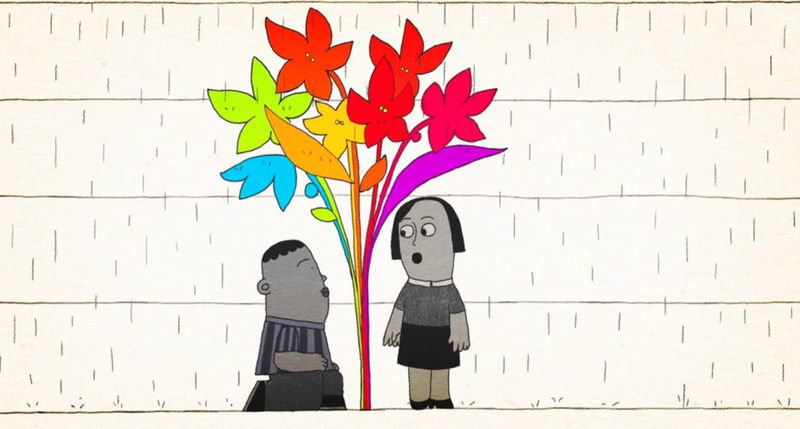 ), this animated short has a beating heart full of joie de vivre. 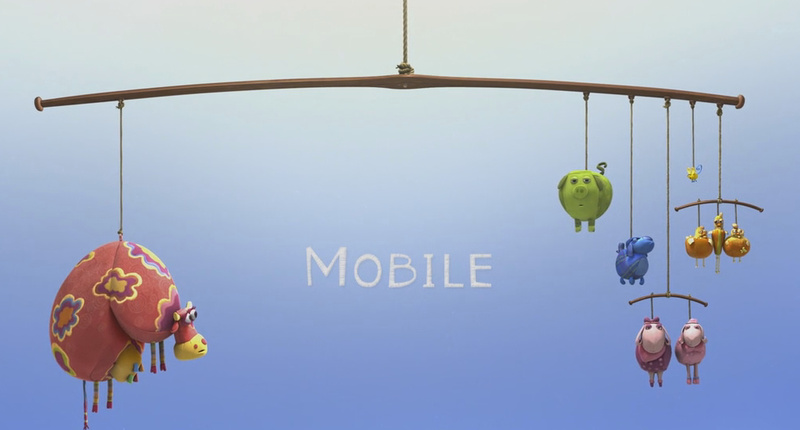 Needless to say Mobile has won a raft of awards at film festivals across the world. I’m going pop a toe – tentatively – in to the hottest debate that is going on at the moment. I want to be flippant about its importance but I am going to resist. Yet the new Doctor is a woman and the internet is smoking (whatever gender the internet may be!). I’m old(ish). I can just about remember Troughton first time round. The Doctor was always a man. However, rumours always did abound that new Doctors (post Tom Baker at least) might be a woman. 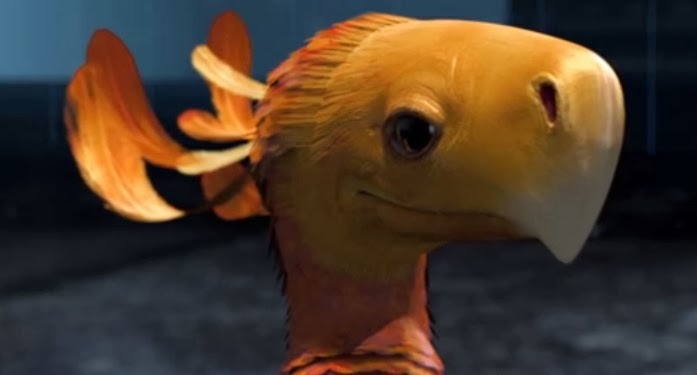 In the new era of Doctor Who we have seen two time lords regenerate in to a different gender (if you are a fan, you know this – if you are a casual viewer, take my word for it). So much for ‘New Who’. Yet even in the classic era, there were indications that time lords could change gender when they regenerate. My point in case is the scene above, where Tom Baker’s Doctor (I was a fan before the numbering system began so forgive me if I forget the shorthand) couldn’t quite see how he could possibly refer to his new companion by her full name, especially in emergencies. Back in the day fans used to tape record the shows and listen to them time and time and wibbly wobbly time again. I followed suit and that’s why a line from 1978’s The Ribos Operation came to mind when I heard the news that Jodie Whittaker was taking over the helm of the Tardis. (I know: my family did not have a VCR in 1978 – how poor-quality and incompatible of format could we have been?). 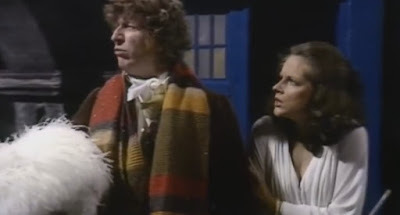 The Doctor advised that instead of Romanadvoratrelundar he could call this new person in the Tardis ( the one deemed most suitable to help in in the quest for the six pieces of the Key to Time) Romana for short. It was either that or the distinctively masculine four-letter name Fred. Romana immediately opted for Fred. Now, Romana had obviously done her homework on the Doctor before meeting him and would probably have picked up, from the ‘files’, the nuances of late twentieth-century gender-based naming systems in the English language. She was that clever, right? As any Gallifreyan knows, gender-based regeneration is an irrelevance where the universe is concerned. In my opinion, Romana would have picked up the fact that on the Doctor's favourite planet Fred was a name reserved mostly for men. Furthermore, as a diminutive this alternative name was not exactly the most flattering insinuation of the Doctor's opinion of her current status aboard the Tardis. Yes, we do have the female form of Fred but the way that the Doctor spat out this alternative does seem to me to indicate he meant the male form of the word. It's there we might not always be able to separate cannon from the time in which it was written... Yet what could be going through the heads of both time lords at this time can only be guessed at. In other words, I thoroughly and utterly believe that this was the first time that the fact that time lords can change gender was implicitly mentioned in the show. Just a thought – what if the gender of the Time Lords is cyclical? The glimpses we have had throughout the years, with male time lords massively outweighing the female in terms of number may not be a gender imbalance but simply the beginning of a shift from a patriarchy to a matriarchy – part of the natural cycle of things on Gallifrey? As a final by the by, having loved the show for all of my 52 years on the planet I will undoubtedly do so for the rest of my time on Sol 3. Although I loved Colin Baker's tweet, re-wording his own first words as the Doctor, I will leave you with words from my all-time favourite Doctor Who character (that's probably counting the Doctors too, if truth be told). Go, Sarah Jane. The island of South Georgia in the South Atlantic is remote, to say the least – they are 1,390 kilometers (864 mi) east-southeast of the Falkland Islands, considered the ends of the earth by many themselves. There is no air strip and visitor must arrive on the island by boat. On the northern coast of the island is the former whaling station of Stromness, named for a village in the Scottish Orkney isles. The last time the place was used commercially was in the early 1960s. 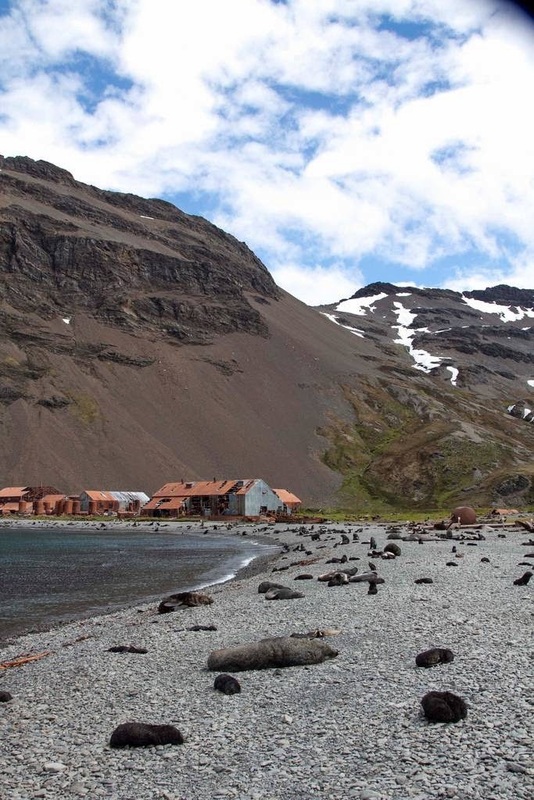 Now it is left to decay, its only company the seals and penguins native to the islands. The first whaling station on the island was built in the harbour in 1907 as a kind of floating factory. Business must have been good as the permanent land station followed in 1912. 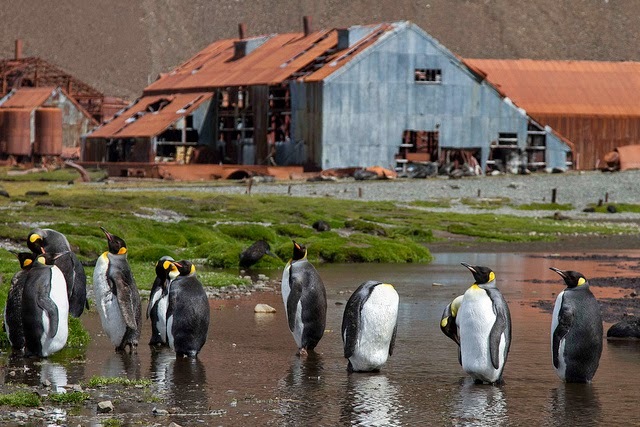 The place operated as a whaling station until 1931 when it was converted in to a ship repair yard. Just thirty years later the entire place was abandoned. Visitors to India often describe their stay as something of a roller coaster ride so I guess it was only a matter of time before someone created a piece that gave the rest of the world the same impression. 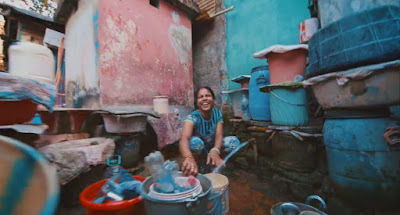 Yuribert Capetillo Hardy recently visited Kolkata and created this as a visualisation of his emotions as he experienced the real city and not the tourist traps. This is a compelling snapshot of everyday life in one of the most vibrant cities on the planet. Love has no words – so they say – but if not is surely has music. This animated short was created by Xiya Lan (with music by Karen Tanaka) and was her final film while studying at Calarts. It shows all different types of love in various ways, how it can falter or thrive, shrivel or persist. There is also a really cool ‘reveal’ at the end (you’ll have to watch it all to find out what that is!). Paris at dawn can be a place of serene beauty. In fact it can make people break in to dance simply by being… Paris. Or perhaps it’s a chicken and the egg thing. 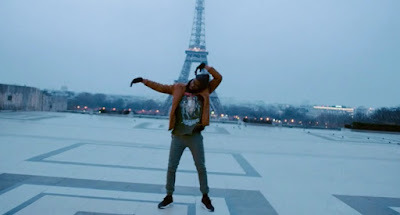 Who can say but this video created by international creative firm Magna Carta and featuring Jojo Prida dancing in the shadow of the Eiffel Tower is an exhilarating few minutes of awesome dance (made to look casual and easy) with some equally breath-taking camera angles. What would Lautrec have made of this, I wonder! The shadow of a new war was already casting a long shadow in 1913. 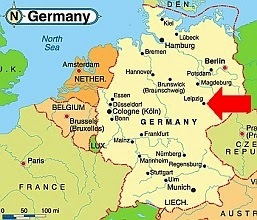 Yet it was the year when the people of the city of Leipzig in the German state of Saxony saw the completion of their monument to a battle which had taken place exactly a century before. 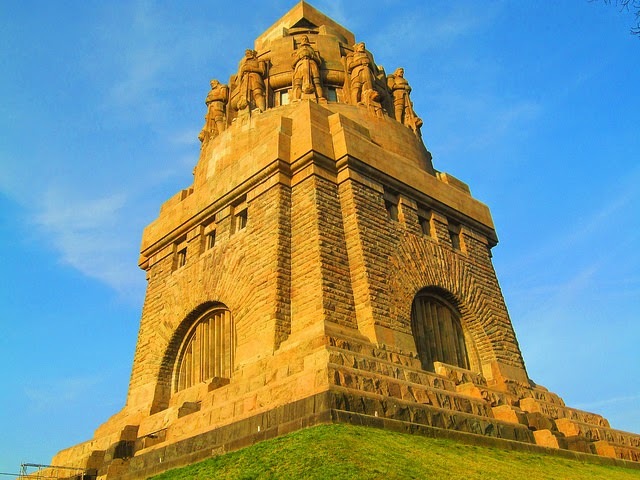 The Monument to the Battle of Nations commemorated the defeat of Napoleon at the Battle of Leipzig. 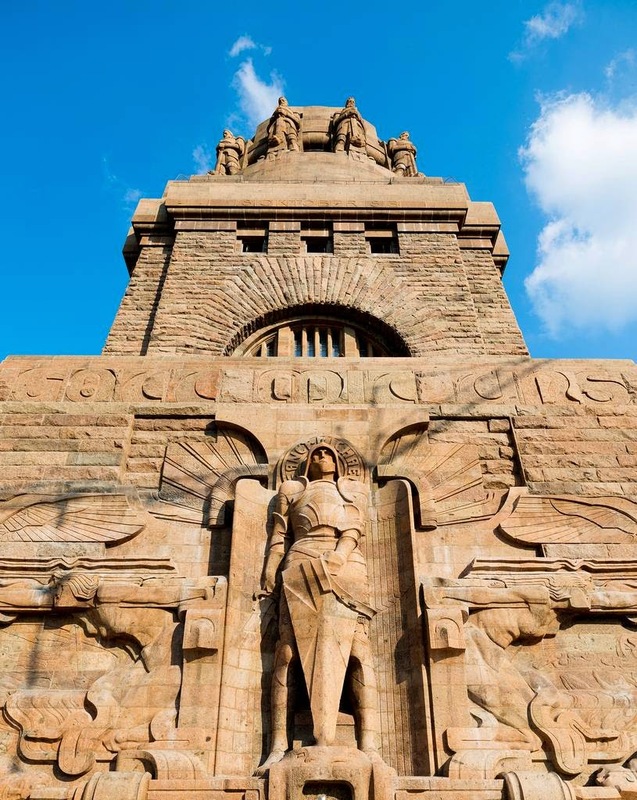 However, for almost a century after its inauguration, this remembrance of a battle of the past would be used by one group or another for their own ideological purposes. In 1813, the coalition armies of Russia, Prussia, Austria, and Sweden had fought against the French army which also contained Polish and Italian troops not to mention Germans from the Confederation of the Rhine. Little wonder it also became known as the Battle of the Nations: involving over 600,000 soldiers, the battle was the largest in Europe preceding World War II. The monument certainly reflects the immensity of the conflict. Funded by the European Union and the UN World Food Programme, ESSN furnishes refugee families with a debit card. Each month an allowance of 28 Euros per family member is placed on the card which means the family can then afford to get back on their feet. If you have never had the opportunity to visit the Colorado River area of the US then sit back and soak in the sights as captured by the remarkably talented Anneliese Possberg and her team. 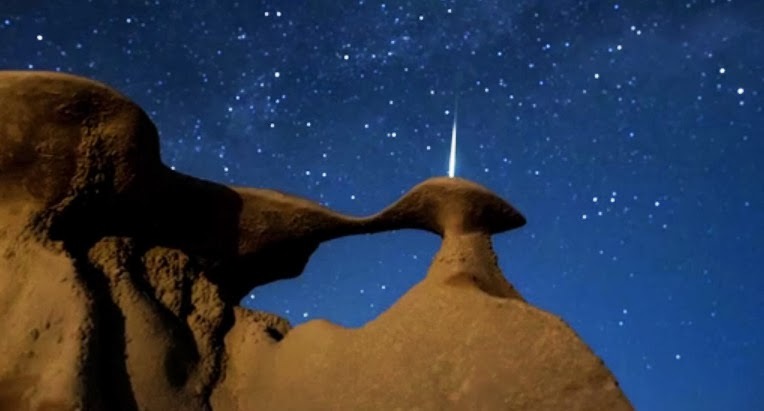 I thought my favorite part here was the run through the hauntingly beautiful Antelope Canyon and Zebra Slot but then I saw the incredible combination of time and hyperlapse throughout with spectacular dawn shots (not to mention the shooting stars) and realised that the entire piece is simply amazing. Watch and allow your jaw to hit the floor! 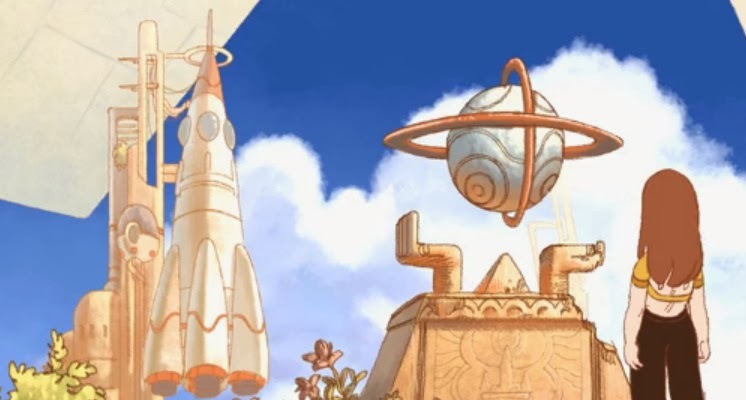 Two young women discover a city in the clouds. 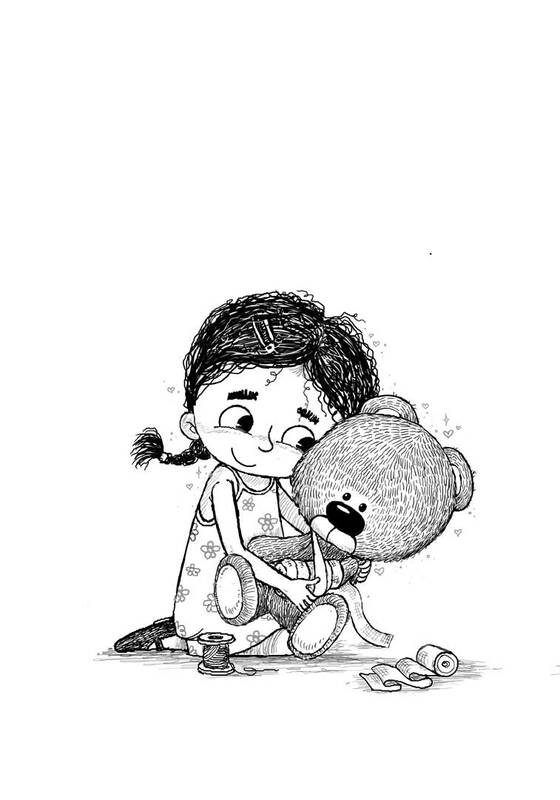 Yet the more gregarious of the pair will discover that her friend is something more than she ever suspected. 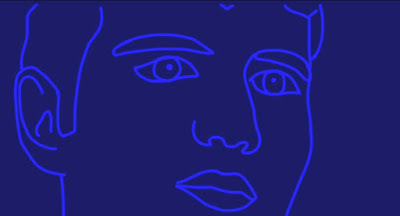 This is a fine piece by Inbal Breda who created this as her graduation film from the Bezalel Academy of Art and Design in Israel. It’s also great to see a fantasy animation with female protaganists! The Grim Reaper never had an easy time of it, what with his unrelenting schedule and punishing hours (that would be twenty four a day). So, what happens if his latest ‘job’ turns out to be nothing less than a phoenix? Find out what the ultimate bringer of death does with something which refuses to remain dead in this entertaining animated short by a group of six students at Georg-Simon-Ohm University in Nuremberg, Germany. If I stay stock still maybe they’ll just swim past.... ah, shoot. 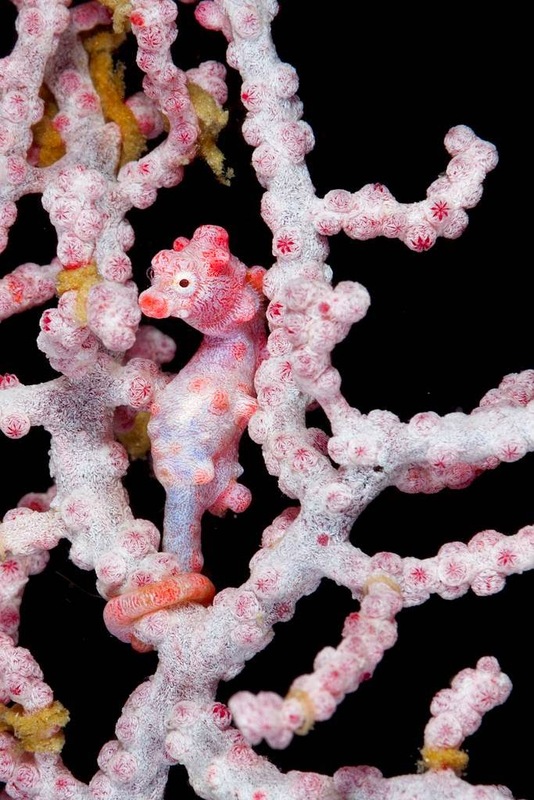 This pygmy seahorse, seemingly caught in the act, has a few evolutionary tricks up its sleeve which allowed it to remain unknown and hidden from science until the 1970s. 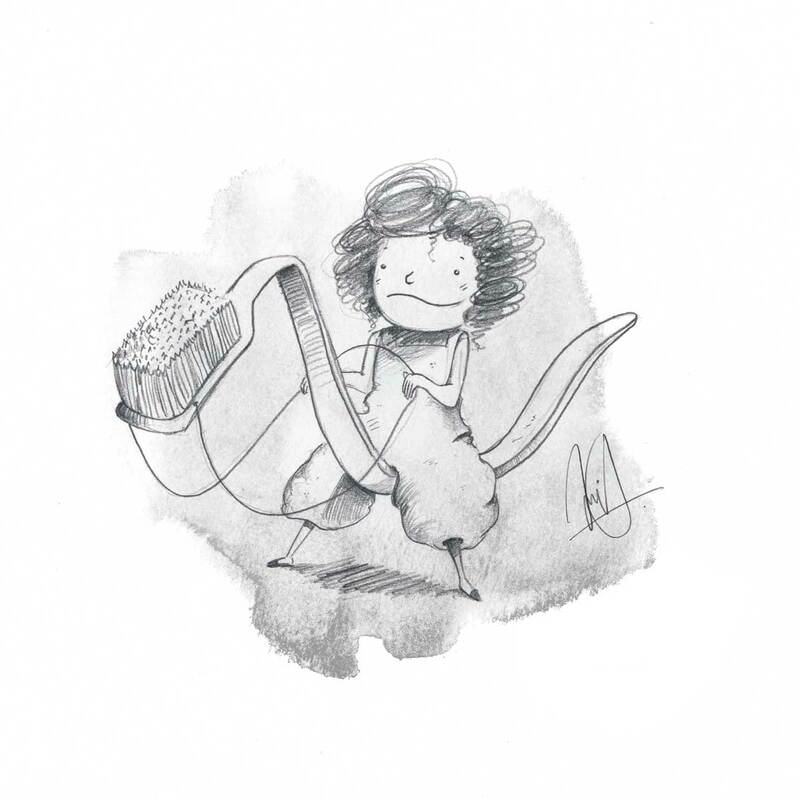 First its size – tiny tiny tiny: it’s about two centimeters in length all told. 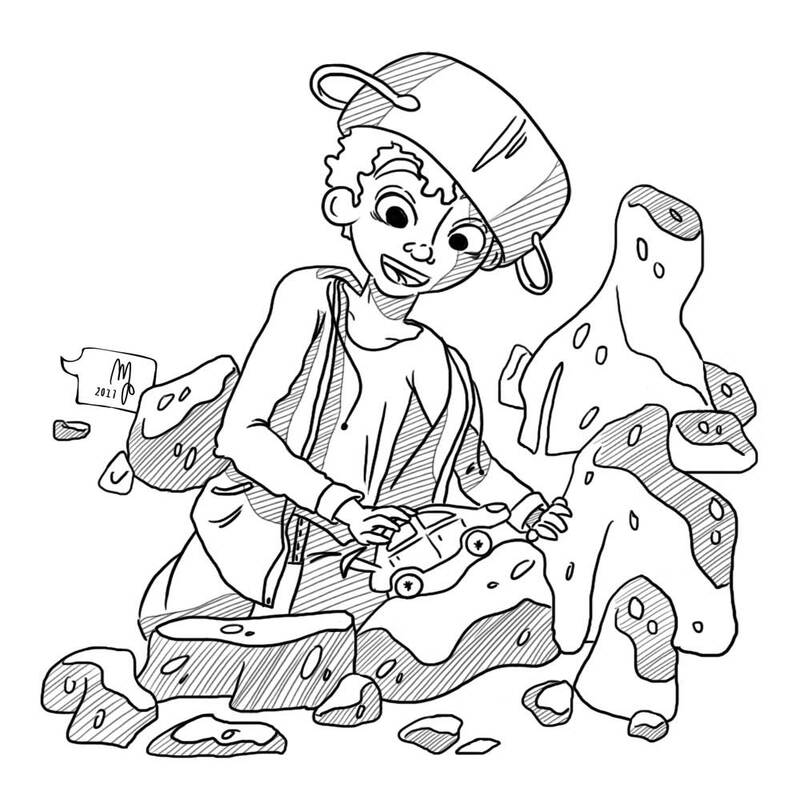 Next, its amazing camouflage – it just blends in with the local gorgonians (related to corals) so well that you can blink and you will miss it – which is probably the idea, let’s face it (even though I am not sure how many denizens of the deep actually blink). Over at the Ark in Space today is a fascinating glimpse, together with a great set of photographs, in to the life of these tiny masters of disguise.